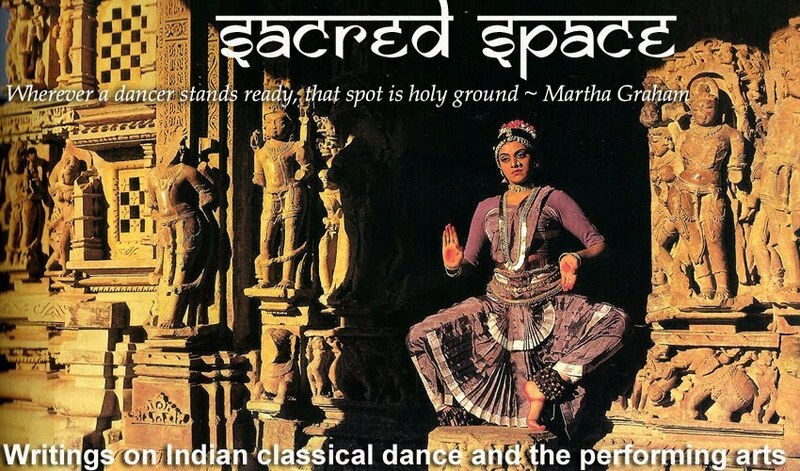 Sacred Space: Dance jewellery: A trend towards minimal elegance? Dance jewellery: A trend towards minimal elegance? From the rakkodi on the crown of her head, to the nupura adorning her feet, the classical dancer is literally bejewelled from head to toe. Jewellery is an essential part of the dance costume. It adds sparkle to a dancer’s appearance and enhances the visual effect and aesthetic appeal of her dance, invoking rasa in the observer. The use of costume and jewellery is called aharya abhinaya, one of the four types of abhinaya described in the Natya Shastra, Bharata Muni’s classical treatise on the performing arts. It mentions the four types of jewellery or ornaments to be worn by a dancer, which “if used properly and with understanding add beauty to the body.” It then illustrates in detail the specific ornaments to be worn by male and female performers. While these number to 16 for men, there are over 38 for women, including six for the hair and head, eight for the ear, six for the neck, at least two garlands of jewels and pearls for the breast, eight for the hands and fingers, five for the hips, and three for the ankles and feet! It is no surprise that many dancers today prefer a minimal use of jewellery. Real jewellery made of pure gold and precious stones is heavy and cumbersome – and not to mention, exceedingly expensive. Among some dancers today there seems to be a trend towards reducing the ‘bejewelled from head-to-toe’ look to one of minimal elegance which responds to the dictate that less is certainly more. The vibrant colours of the contrasting deep red rubies and brilliant green emeralds of temple-style jewellery are indeed visually striking. The intricate, often symmetrical designs are inspired by temple sculptures as well as motifs found in nature like flowers, lotuses, leaves and creepers, fruits like mangoes, and animals like peacocks and swans. The traditional jewellery was made of pure gold and embedded with uncut diamonds, rubies, emeralds and pearls. Today replicas are made in silver and covered in gold leaf, with semi-precious stones. This jewellery worn by Bharata Natyam and Kuchipudi dancers has a very long tradition dating back over 5000 years to the Nayaka period. This jewellery of gold and precious stones was traditionally made for temple idols by master craftsmen whose workshops were located within the precincts of temples. Nagercoil, a temple town in Tamil Nadu, is famous for its temple jewellery which would be used to adorn the temple deities during important festivals. It was also worn by the resident temple dancers, a tradition which has continued onto the stage today. Temple jewellery not only adorns and embellishes a dancer, it is also believed to have a deeper significance. Pure gold is believed to promote well-being. The surya worn on the right side of the head and the chandra on the left brings positive energy to the dancer allowing her art to flourish. The rokkodi worn on the crown of the head protects the brain. In contrast to the opulent temple jewellery of South India, the silver jewellery used by Odissi dancers is elegantly understated. Cuttack in the state of Orissa is famous for its silver filigree work. Orissan tribal jewellery is also made of silver. The silver belt worn by Odissi dancers as well as the tahia or crown, are unique to this dance style. Inspiration for the Odissi costume came from temple sculptures as well as the Abhinaya Chandrika, written in the 15th century by Maheswara Mohapatra. This text mentions the costume, ornaments and make-up to be used for Odissi and describes a silver belt to be worn around the waist. In her biography of Guru Kelucharan Mohapatra, The Making of a Guru, Odissi dancer Ileana Citaristi recounts when the bengapatia was first introduced: A broken and discoloured bengapatia was found in an old box of jewellery belonging to the mother of a Brahmin from Puri. Guru Kelucharan Mohapatra painstakingly rethreaded the belt and meticulously cleaned it with tamarind. It was first worn by legendary dancer Sanjukta Panigrahi at the All-India Dance Seminar held in Hyderabad in 1963. Now it has become a hallmark of the Odissi costume. A modified version of this article was published in the June 2011 issue of On Stage magazine. The temple jewelry dazzles me. There's a lot of precious stones like diamond, sapphire, emerald. I also love the ruby earrings worn by the girl. I usually get my accessories from online jewelry stores, and this kind of jewelry always dazzles me. Thanks for sharing your lovely article. It is known to the world that people in India are fond of using and wearing jewelries both for aesthetic and therapeutic purposes. I love those jewelries. In the present time, people are also into using sterling silver jewelry because of its cheaper value and design. You have managed & compiled really unique & real information. It’s really very helpful for us. You've made some great points and it’s written really well. Very impressed by this blog..It give unique info..especially Dance jewellery..all the best to the team..I heartily wish that this blog continues. The banner photograph is of Swapnasundari photographed by Avinash Pasricha and featured here with the photographer's kind permission.